Kitchen exhaust fans aren’t just for comfort. They are for safety. 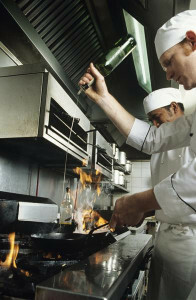 Because we know how risky—and illegal—it is to operate a commercial kitchen without a working exhaust system, we offer fast, friendly emergency service to get your system back up and running as soon as possible. We hope you never have an emergency, but if you do we will be there to help. 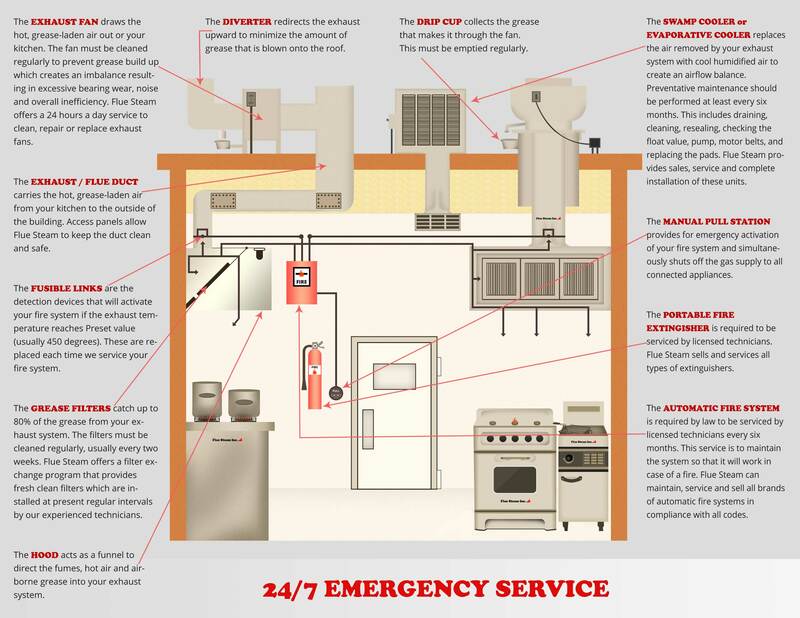 You can help prevent emergencies by investing in regular equipment inspections and cleanings. Because your business is important to us, our technicians will grease your fan bearings, check the belts, and replace worn belts with new, customer-supplied ones when needed, all at no charge during every scheduled exhaust system cleaning visit. Our regular exhaust system cleaning services are typically booked one week in advance, but we can perform the cleaning at any time that is convenient for you.